deadly fashion, singing along during the solo passages. For those of us that are better horn players than singers or pianists, these duets may prove helpful. Horn students oftentimes do not meet with an accompanist until a few weeks before a recital, yet students WILL meet with you, the teacher, on a weekly basis. This opportunity of getting hornists engaged early on with the concerto as a whole, not just the solo line, is the key to greater musical success. While not originally intended for concert performance, the duets should work very well for masterclasses and audition preparation. 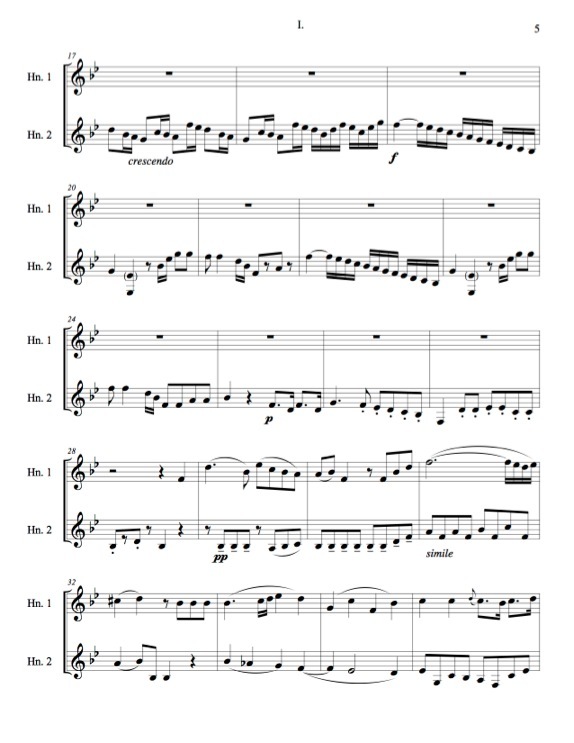 The C Duet Score and Part were created for high-brass teacher and are especially great for trumpet players. 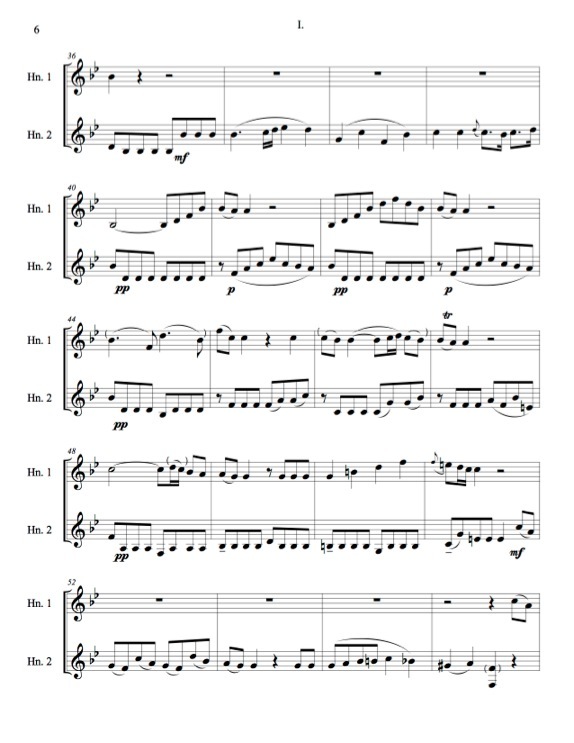 The version in C is also handy to use on the piano as a single-line accompaniment. You should feel free to change octaves, articulations and notes, and to simplify any part of the accompaniment. The goal is to give the overall impression of the orchestra.